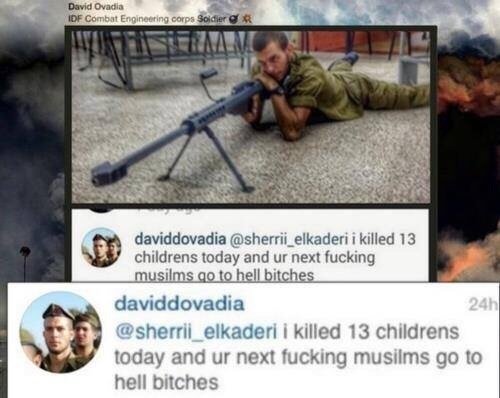 Instagram post by Israel Defense Forces sniper boasts of murdering 13 Gazan children in one day. IDF Combat Engineering Corps Soldier, David D. Ovadia posed with a Barrett .50 caliber sniper rifle. Ovadia posted his comments on the Instagram account of Palestinian Sherrii ElKaderi.